This is part 2 of the tutorial where I'll be setting up the Icinga Web 2 web fronted from where we can log into our Icinga2 server and actually monitor our infrastructure. If you came here from Google than you can find Part 1 here. Hit CTRL+C to exit the mysql> prompt. The output should look like mine. You can use the official documentation from Github or use my tutorial as they are pretty much the same. Note: Your token will be different than mine. ... and use your token to begin the setup. After you will paste your token and click next you will notice a section with checklists. Make sure everything here is green. If it is yellow or red than you have to fix it before proceeding further. So far for me only the PHP default timezone was missing so I decided to update the /etc/php.ini file. If you have followed my guide all the way probably your's will be to so go on and update the file with your correct time zone. Mine is Europe/Paris. For a list of available timezone consult with the PHP Documentation: http://php.net/manual/en/timezones.php. Remember to put the parentheses around the timezone otherwise you will brake the PHP interpreter. Save and exit the vi editor and than restart the httpd service. Click next, on the database setup page you will be asked for credentials. Put your database root username and password here. Click next. On the authentication back-end page select a name for this authentication backend. I've named mine icingaweb2_db. The trick here is that later you may decide that you will want to use an Active Directory authentication backend and authenticate your users against an LDAP database so you will name that one for example, icingaweb2_ad and so on. Click next, on the administration page create your first username account with administrative privileges. I've named mine admin. Put a password of your choice. Click next and on the application configuration verify the settings and click next. On the last verification page review your settings. The next page will configuration of the monitoring module for Icinga Web 2. We installed IDO module for our purpose and that is the only option to choose for now. Click next on all of the rest of the pages. In the end you should be presented with the congratulations page. 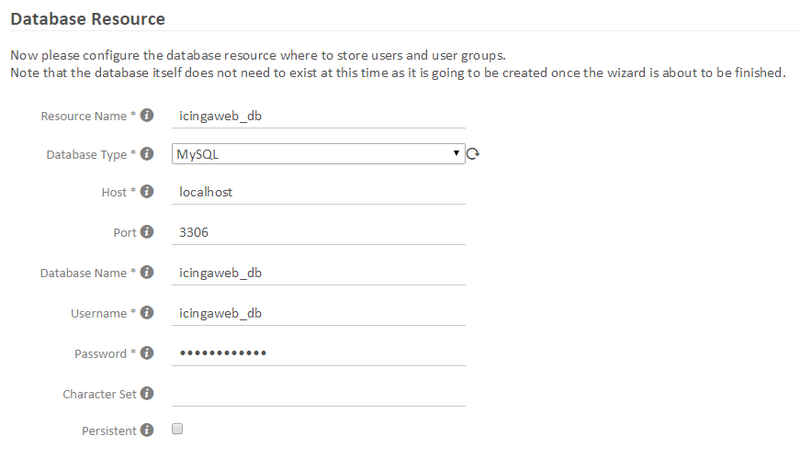 Now login to Icinga Web 2 and you are good to go! Page not found. Enabling the "setup" module might help! Then just log out, then log in again. Go to Configuration -> Modules; click on the Setup module and enable it. Enjoy your new Icinga2 server and happy monitoring. Up next: Adding various hosts to the Icinga2 service for monitoring. Thanks Tom, Appreciate your efforts and detailed step-by-step part 1 and 2 post. Great tutorial dude, many thanks it helped me where other 2 failed. 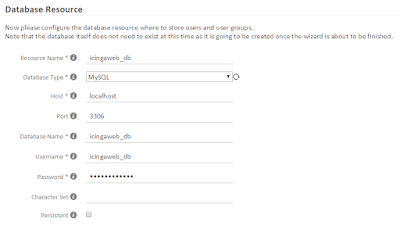 I am able to bring up the icinga web portal. But I'm seeing below issue. "/etc/icingaweb2", if not explicitly set in the environment variable "ICINGAWEB_CONFIGDIR". It seems that you have permissions issue with the mentioned directory. Can you try and give it a write permissions. Thanks for your reply actually I gave permission before but forgot to restart httpd and icinga. After restart everything looks good. Thanks Again. Your blog is excellent and very helpful. Hi, I am seeing one more issue on the final of configuration. Can you please help me. Below is the error. 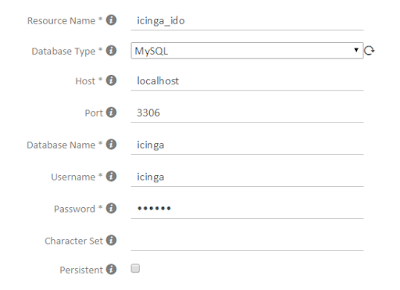 Account "icinga" has been successfully defined as initial administrator. Remember to put the quotation marks around the timezone otherwise you will break the PHP interpreter. Save and exit the vi editor and than restart the httpd service. Great tutorial and i did it. My server now running. Btw, how could i monitoring router (mikrotik) and switches? would you mind to make a post about intsalling Graphite inside Icingaweb2 ? That was a great work! It helped me a lot. Thank you very much. 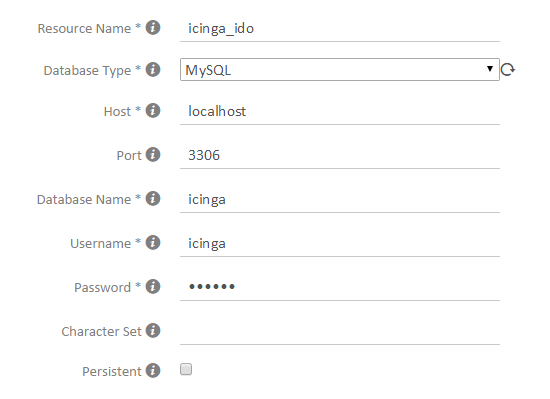 It greatly help me setup icinga on host servers but I am having hard time with configuring for services/processes. I am trying to setup sql_slow_query and other server apps. I need a little push or point me to where I can get so help. I been looking but having no luck.